Accounting outsourcing, SMSF outsourcing and bookkeeping outsourcing is easy, providing time is put into getting things ready at the beginning and then paying attention to fine tune the processes in your office in the first 2-3 months. Depending on what IT systems you currently have, you have a choice of your provider working online on your network, in the cloud or offline. Working in the cloud is by far the simplest option since you may only have to provide login details to the offshore staff. If you still have working papers and other supporting documents to pass on to the offshore staff, then this can be done using a service like Dropbox or the accounting outsourcing provider should have a secure web portal for you to upload documents. (BOSS uses our own portal since it is more secure than Dropbox). This simply requires you to upload a copy of software files as well as the supporting document using a service like Dropbox or the outsourcing firm’s web portal. However, it requires that the accounting outsourcing provider has the same software as you and the same version (or compatible version). Firstly your office network has to be robust to handle this. There are different configurations for working online but only a few that work well. For every combination below you will need to make sure you have licenses for accounting software, Outlook (if used), server and workstation licenses. If you have a Terminal Server or a Citrix Server you will need to make sure you have enough licenses. If you only have a Small Business Server (SBS) you will need to have a spare computer connected to the SBS for every outsourced accountant working for you to connect to. If you don’t have the above configuration we do not recommend having an accounting outsourcing provider work online. The connection between your accounting outsourcing provider and you will need to be checked for speed, lag and quality with a final test working direct on your software. Sometimes hardware upgrades to server, workstation or the router are required. An ISP may need to be changed to get a faster internet speed. Sometimes the limiting factor is how far your office is from the Telstra Exchange. If this is a hurdle and you still need the accounting outsourcing firm to work on your server you could opt to have the server colocated to a central data centre that has fibre-optic comms to assist speed. An open discussion is best and we recommend a main person of influence who is a staff member attending discussions about implementation right at the very beginning of the process. This should help you attain more acceptance at the staff level. Communication and organisation are the two most important things to making accounting outsourcing work well. Overall there isn’t much difference with accounting outsourcing in terms of what happens from start to finish. However, where the differences occur time and attention needs to be paid to the process to ensure things work well. If you were to get ready to start processing a job what would you need? 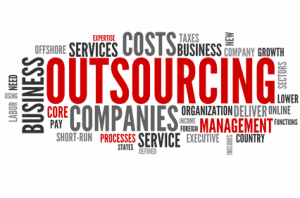 That info is what your accounting outsourcing provider needs. BOSS makes this simple by providing a checklist depending on the type of job being done. But note: efficiency and effectiveness is achieved by you getting ALL data ready before sending the job. If you are slack in this area you will create more challenges when outsourcing work because of the extra person (offshore staff member) involved in the communication process. During the whole job cycle you should endeavour to minimise the number of times you pick up and put down the job. Who gathers data (supporting docs, working papers etc) will depend on the size of your firm and your attitude to utilizing leverage to attain more profit. BOSS advocates that a Client Services Administrator (CSA) collates data (including chasing a client for info), with your Accountant doing higher level work: liaising with the client at the interview, query and final presentation stages. The CSA can be an Undergraduate or the Receptionist. They just need a checklist and guidance at the beginning to prepare data efficiently. If you are a one-man band then you may have to do the prep work yourself, but remember you are leveraging a much cheaper resource by accounting outsourcing work, so even if you invest 15 minutes per job (of your $300/hour charge rate), you are not spending all your time processing the job. The same principle applies to a small firm that has no current staff available to fulfil a CSA function: have an accountant do the job instead of the Partner and remember you are achieving financial and workload leverage by doing this. If you have a good outsourcing provider they should be able to customise the way they process jobs to more closely match how you do it. In the case of BOSS we’ll ask you to fill out a form prior to sending us your first job. It has questions like “What do you consider to be a material difference when reconciling GST?” This means work can be done as efficiently as you do it but quality controls are maintained according to your standards. Typically, queries will be emailed to your in-house accountant responsible for the job. Good client control is important here so that queries are answered in a timely manner. Your accountant needs to make sure queries are answered sufficiently well for the outsourcing provider to complete the job. So prime your staff so they know what they need to do well and why. If you hire an in-house employee do you just sit them in a corner and hand them jobs and expect a perfect result first time? Granted the accountant may be a super-wizard and do high quality work but no doubt there will be some things that you will need to provide feedback on. The same is true when you engage an outsourcing provider. Remember that communication is the second most important thing to make outsourcing work well for you. You and your staff need to give timely feedback to the offshore accountant to make sure they are “dialled in” to what you are expecting from them. No matter how good an accountant is feedback is required to fine tune performance. 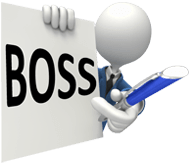 In the case of BOSS, where we can customise procedures to match yours, this is particularly important – this is how we intimately learn how you process jobs – things you might not even realise you are doing! Australian privacy law has changed recently. You need to inform your client if you are using a third party to do work. This can be a sensitive issue so needs to be handled carefully. In ten years of operation not one of the eighty accounting firms using us has had a problem with their end-clients on the topic of offshoring and outsourcing work.